Heartworm infection is becoming a serious concern amongst pet owners in USA . According to the annual survey reports generated for heartworm testing – Mississippi, Louisiana, Arkansas, Texas, Alabama and Florida by far came out as the most positively tested regions. Studies attribute the prevalence of these cases to the failure of using preventatives and their improper usage. Skipping the doses was also found as one of the primary causes of concern in heartworm prevention in these areas. Owing to the revealed reports, veterinarians thus advice pet owners to use heartworm preventatives throughout the year and avoid any lapses in the doses for complete protection against the disease. Heartworm is a deadly parasitic infection caused by the transmission of Dirofilaria immitis in pets. These adult heartworms are transmitted in dogs and cats by mosquitoes and cause blockage of the heart and lung passage as they attach themselves to the inner linings of these organs obstructing blood circulation in the arteries and veins. This eventually leads to respiratory diseases and in more severe cases of complete blockage, a pet can have a heart attack as well. Adult heartworms, still attached to the linings of the organ, mate and reproduce baby worms. These baby worms continuously circulate in the bloodstream, wiggling from one place to the other which makes it hard for the diagnostic procedures to give correct results even after several attempts. Thus, prevention is a more practical solution to combat heartworm disease in pets. Here are the top 7 preventatives that are proven to be highly effective against heartworm prevention. Make sure you start them as early as possible and read the directions thoroughly before use. This topical product is super easy to apply on your pet and the active ingredients of the product (imidacloprid and moxidectin ) work synergistically to eliminate microfilariae in the pet’s bloodstream other than providing protection against fleas and other intestinal worms. Advantage multi has thus been touted as an all-rounder product which successfully prevents heartworms in dogs. 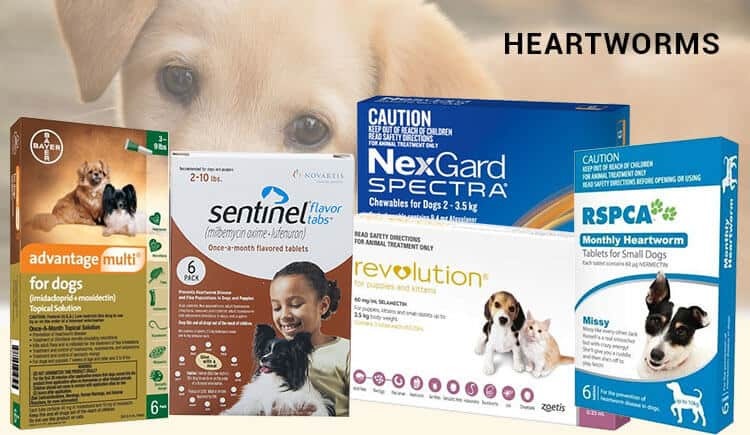 One of the most renowned heartworm preventative by Merial, Heartgard plus has shown stupendous results in preventing heartworm disease in dogs. The highly palatable taste of these monthly tablets makes it very easy for the pet owners to administer the drug to their canines. Apart from that, Heartgard plus also comes with an added protection against roundworms and hookworms and can be easily given to a puppy as young as 6 weeks of age. Interceptor is a potent heartwormer that kills immature forms of these worms thus interfering with the maturation cycle of the heartworms. One dose of this treatment provides protection for complete one month and is extremely safe for treating puppies, adult dogs, breeding and pregnant female canines. Nexgard Spectra is a beef-flavored chewable tablet that eliminates and controls worm infections in dogs. This amazing monthly product disrupts the development of microfilariae in canines and is thus very beneficial in the prevention of heartworms. Other than that, Nexgard Spectra is also a very efficient flea and tick preventative which makes it an all-in-one product for parasite treatment in pets. This product contains Selamectin which is so effective in preventing heartworm disease that it can even kill microfilariae which were detected a month ago. Besides killing immature heartworms, the product also controls fleas, ticks and ear mites which are one of the common parasitic problems in dogs. Another one in this list is Sentinel. This product is again a flavored tablet and is used for the control of both internal and external parasites. Sentinel is very easy to administer to dogs because of its beef flavor and stays effective for up to 30 days. Last but certainly not the least – one of the most affordable heartworm treatments available in the market, RSPCA heartworm tablets as the name suggests, is a heartworm preventive that eliminates heartworm larvae from the dog’s body. It is an extremely potent treatment which has the ability to kill baby heartworms even after the dog is infected for 4 months. A single dose of this drug can remove the infection from a 20 kg dog. Heartworm is consistently increasing its reach in all areas of the country and the only way to stop is by protecting your pet. So, do not ponder or dilly-dally. Just go for any of these heartworm preventatives and save your pet’s life. 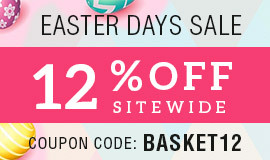 All of these products are readily available at all online stores and can be purchased at very affordable prices. So, make sure you start the prevention program right away without bothering about your budget because they are very easy on your pocket. For cheapest prices, check the link below.